The lingering threat of North Korean nuclear weapons has held the attention of the Trump and previous administrations for several years. It appears that – despite attempts by the U.S. and other countries to engage with the North Korean regime – very little progress has been made to denuclearize North Korea. Resolving this serious state of affairs is going to be difficult. Negotiations with North Korea do not appear to be making any progress. Some researchers, journalists, and political analysts have speculated that perhaps the dictatorship will be overthrown by a popular movement within North Korea. The hope is that a popular uprising similar to events that transpired in other countries – such as Tunisia, Romania, etc. – would occur in North Korea. 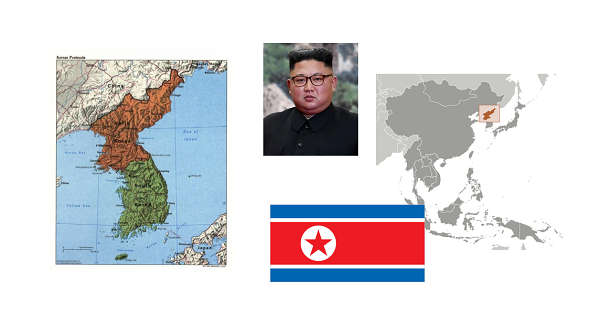 In a recently published article, Andrew Jackson – a senior lecturer of Korean studies at Monash University (Australia), provides a detailed analysis of the prospect of a people’s rebellion in North Korea. He explains why there haven’t been any large scale, popular uprisings in North Korea under the Kim Jong Un. “Why Has There Been No People’s Power Rebellion in North Korea?”, European Journal of Korean Studies, Volume 18, No. 1 (2018), 34 pages. The full article can be read online or downloaded at the following link. The author of the article, Andrew David Jackson, is a Senior Lecturer of Korean Studies at Monash University, Victoria, Australia.